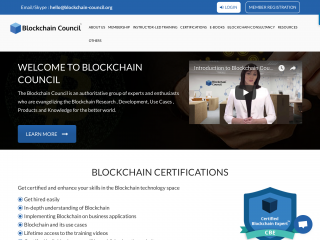 Blockchain Council is an authoritative group of subject experts and enthusiasts who are evangelizing the Blockchain Research and Development, Use Cases and Products and Knowledge for the better world. Blockchain council creates an environment and raise awareness among businesses, enterprises, developers, and society by educating them in the Blockchain space. We are an online education platform, educating people in Blockchain technology.